We cater to everyone from beginners training a new puppy to the experienced sportsman...and everyone in between. We have been in business since 1994, so we are sure to provide you with a memorable hunting experience. You can enjoy quality pheasant and chukar hunting on our 450 acres of diverse terrain with various levels of cover. This is as close to a wild hunt as you can get! 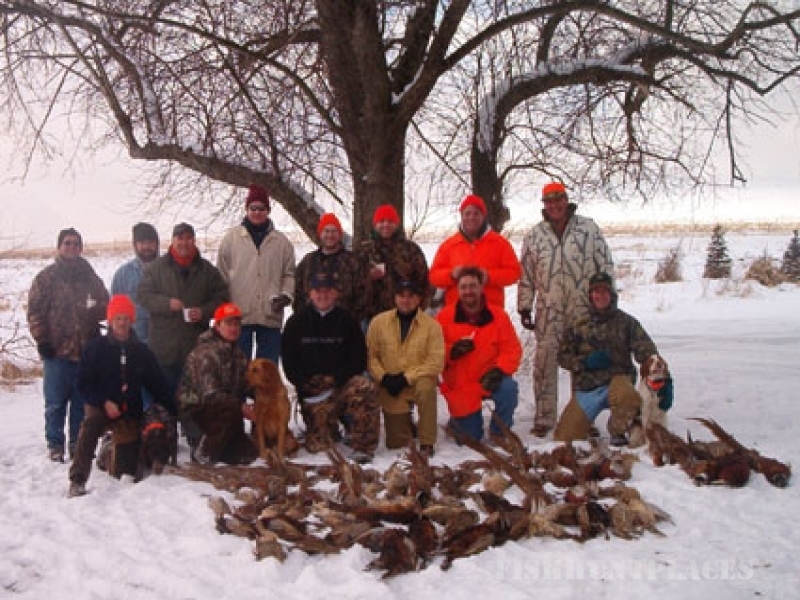 We specialize in realistic hunts and are able to accommodate single hunters, as well as large corporate-style groups. Hunting is available by appointment Monday through Saturday from September 1 through April. For reservations, please contact us. We are glad to talk with you and take your questions and bookings by phone Monday through Friday 9AM-9PM. Spaces fill up quickly, so book early to obtain the date you want! No license is required, but in accordance with Pennsylvania law, 250 square inches of orange must be worn while hunting. Get your new puppy started on the finest game birds, or keep your seasoned dog in shape and on those birds.